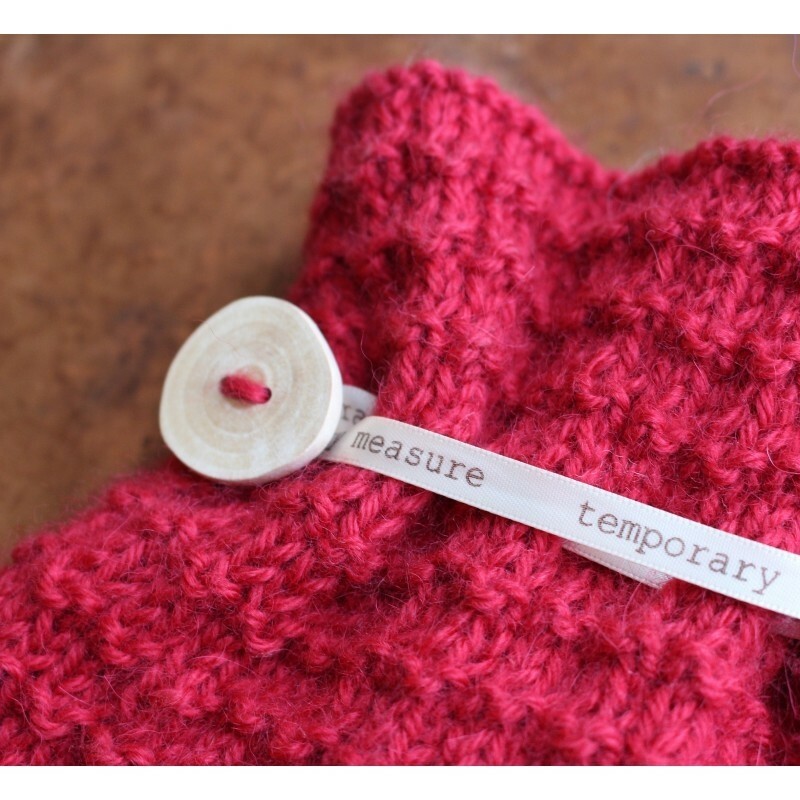 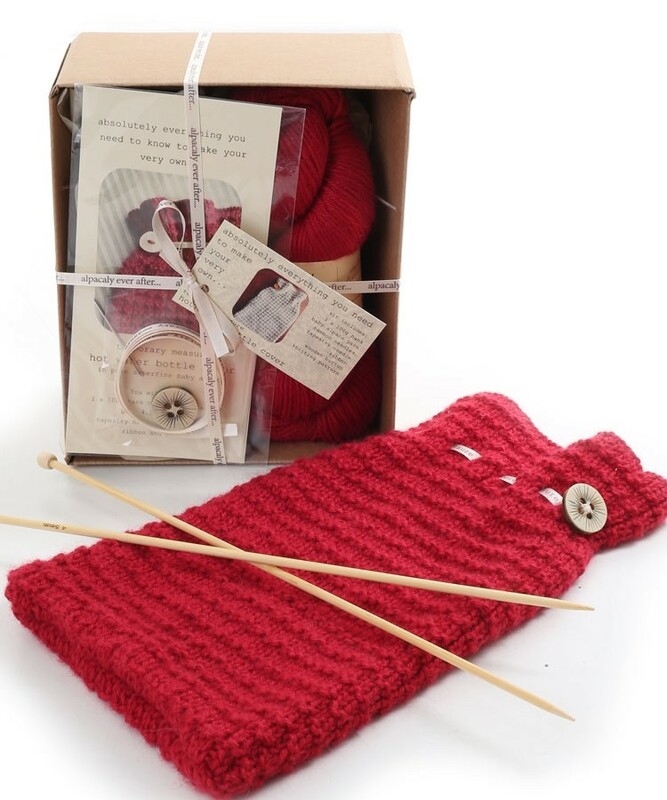 Hot water bottle knitting kit from Temporary Measure. Knit your very own hot water cover in super soft baby alpaca. 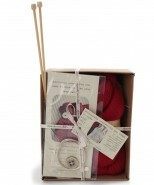 This kit includes a knitting pattern,1 x 100g hank of superfine baby alpaca yarn, bamboo knitting needles, a tapestry needle, ribbon for fastening at the top, and a wooden button for the finishing touch. 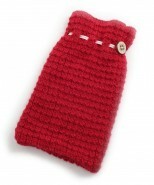 Should fit a standard hot water bottle.